The 2018 Nissan Frontier from Grubbs Nissan in Bedford, TX - serving Dallas, Fort Worth, Arlington, and Irving - delivers powerful performance and exceptional comfort. The fully-boxed, full-length ladder frame is designed for durability on the job. A functional bed offers greater organization and security with the available Utili-Track channel system that offs movable cleats to help you lock down your cargo. Turn on the 2.5L 4-cylinder engine to unlock your potential with 152 horsepower, or upgrade your power with the available 4.0L V6 engine for an impressive 261 horsepower instead. Different cab options help you choose the cabin style you need, whether it's the remarkable King Cab or the passenger-friendly Crew Cab. Standard audio and entertainment options, like the Bluetooth hands-free phone system, allow you to entertain every drive for greater relaxation behind the wheel. A standard rear vision camera offers increased vision when driving in reverse, so you're ready to load or unload with confidence. It's a great time to buy a new Nissan! Our 2018 inventory is here, and we can't wait to help you find the 2018 Nissan Frontier you've always wanted. Visit the showroom located at 310 Airport Freeway in Bedford, TX, to take your test drive today! 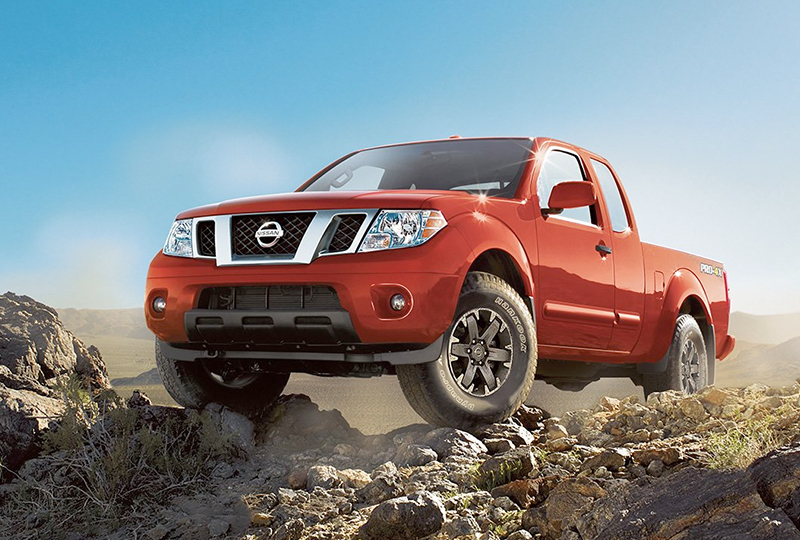 Frontier's full-length, fully boxed ladder frame is built for solid performance ‐ on‐ and off-road. It's made of materials that are both durable and stylish, like super-high-tensile-strength steel, and available chrome on the rear bumper[*] and front grille. Rear privacy glass adds a touch of attitude, while keeping it cool inside, and a tailgate-mounted rear spoiler helps reduce drag. 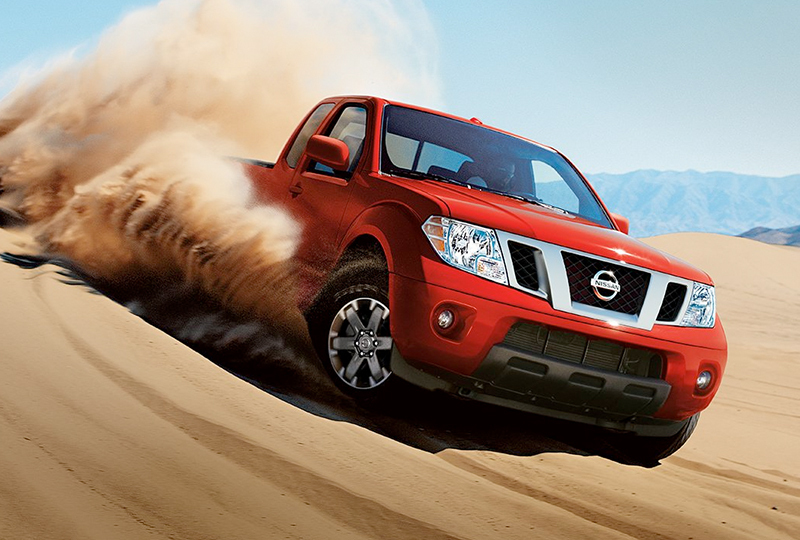 It all amounts to a rugged exterior that's ready for whatever you dish out. 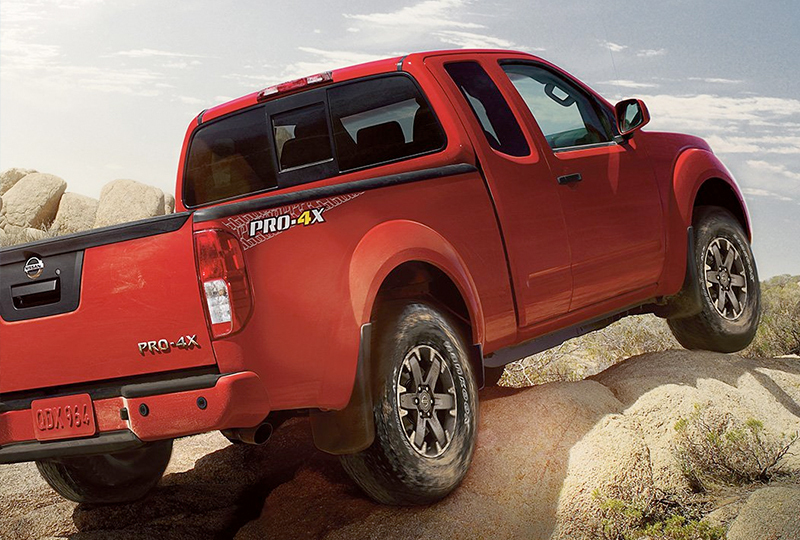 When 4x4 mode isn't enough, the PRO-4X® ‐ Frontier's ultimate off-roader ‐ delivers. Just flip the switch to activate the electronic locking rear differential. 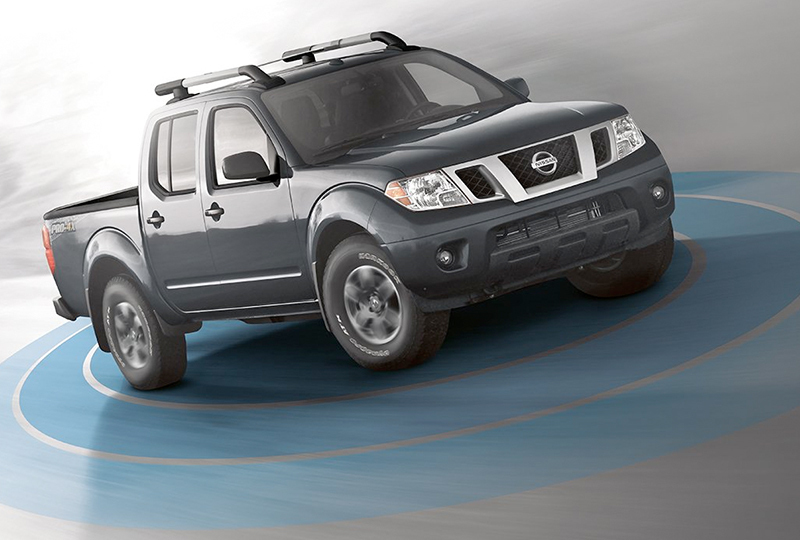 This feature delivers equal power to both rear wheels to boost traction and help keep your truck moving forward. Roof-mounted curtain side-impact supplemental air bags with rollover sensor help provide head protection for both rows of outboard occupants. Air bags are only a supplemental restraint system; always wear your seat belt. Even with the occupant-classification sensor, rear-facing child restraints should not be placed in the front-passenger's seat. All children 12 and under should ride in the rear seat properly secured in child restraints, booster seats, or seat belts according to their size. Air bags will only inflate in certain accidents; see your Owner's Manual for more details.